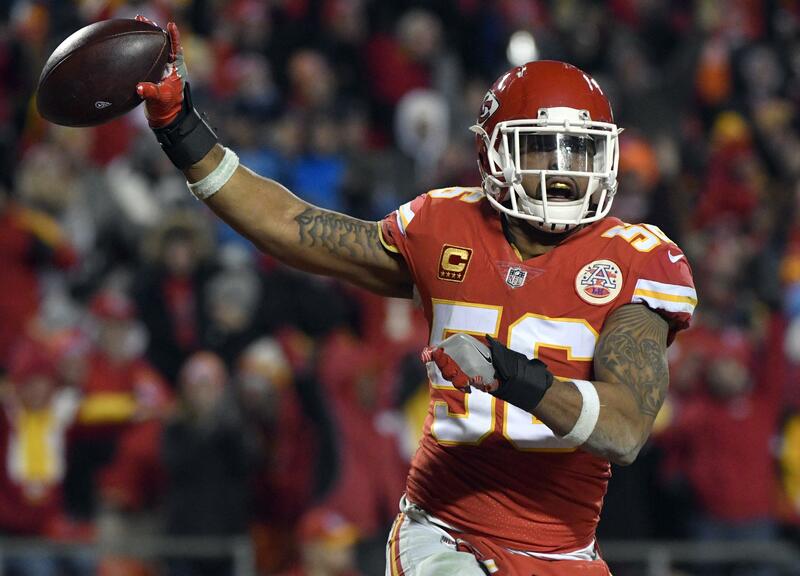 Wed., May 9, 2018, 3:42 p.m.
ALAMEDA, Calif. – Derrick Johnson has been the enemy in Oakland for 13 years, tormenting the Raiders while wearing red for the Kansas City Chiefs. Johnson has appeared in 182 games with 169 starts since being drafted in the first round in 2005. He piled up 1,262 tackles to easily shatter the Chiefs franchise record, had 27 1/2 sacks and picked off 14 passes, returning four of them for touchdowns. Published: May 9, 2018, 3:42 p.m.